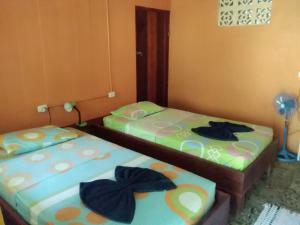 ﻿ Best Price on Kenaki Lodge in Cahuita + Reviews! 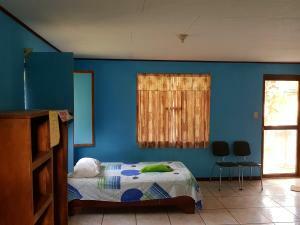 Kenaki Lodge is located in Playa Grande of Cahuita, at 4 kms from the center. 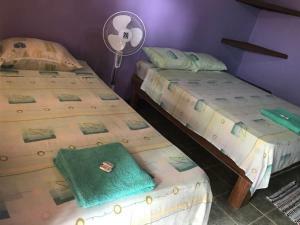 It features 4 Balinese-style rooms that include free homemade continental breakfast and Wi-Fi and 2 independent bungalows which have a fully equipped kitchen with an oven, microwave, stove and fridge. They also have a small seating area and a porch overlooking the gardens and the sea. Playa Grande beach is just 328 feet from the property, and guests can find a wide range of restaurants and bars within a 10-minute drive. Massages and tours can be provided. The Refugio de Animales Silvestres wildlife reserve is 1969 feet away, while Limon International Airport is a 45-minute drive away. Please note the rooms include breakfast, the bungalows do not. Check-in must be done before 10:00 p.m. If guests are late, they must notify the hotel in advance. Check-out must be done before 12.00 p.m. Please inform Kenaki Lodge of your expected arrival time in advance. You can use the Special Requests box when booking, or contact the property directly using the contact details in your confirmation.